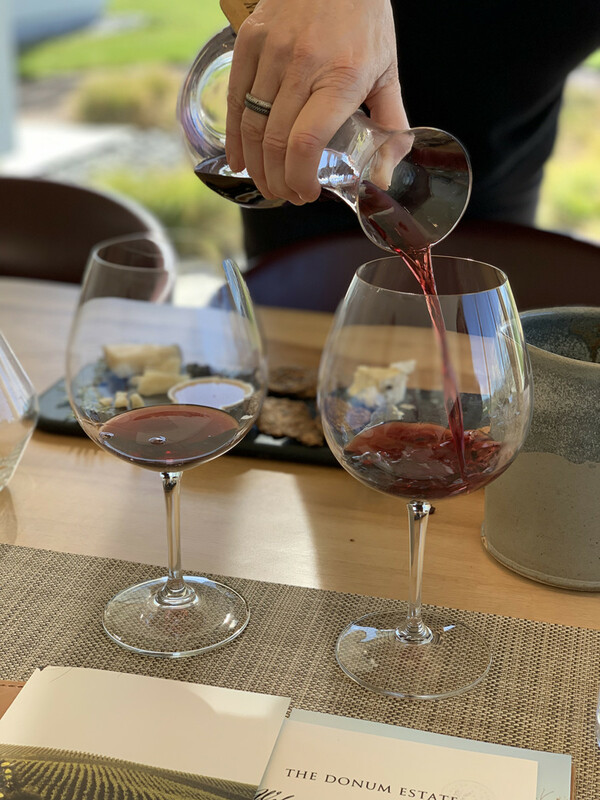 With all the amazing wine I get the opportunity to drink I thought it would be fun to share a running list of the most interesting, exciting and fun wines I’m crushing on at the moment. Hopefully, this will highlight some smaller, off the beaten path wines and introduce you to something new and fun! Happy reading! 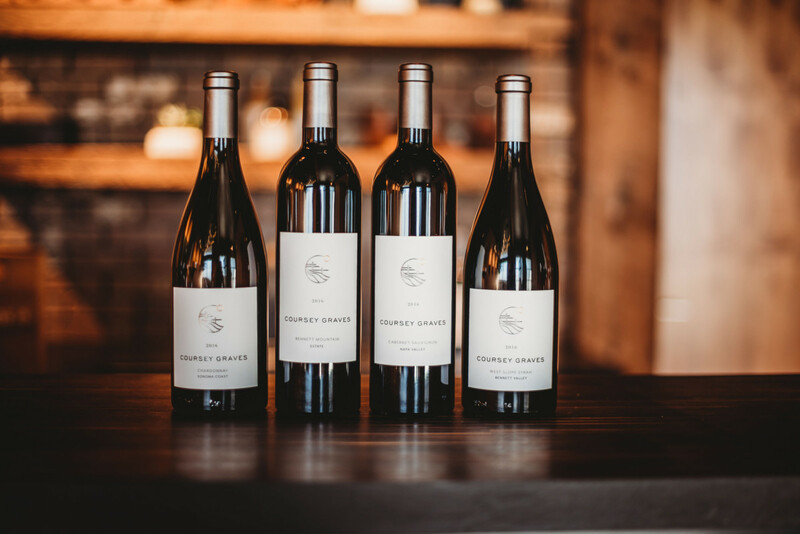 A winery which I just discovered from one of my favorite winery regions in California (Santa Barbara’s Wine Country) is Temperance Cellars. 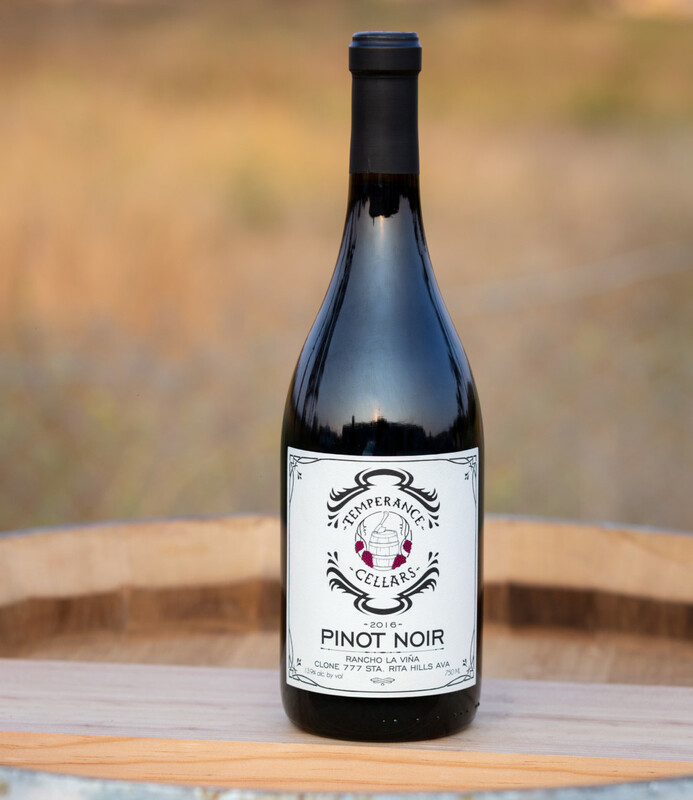 Their Pinot Noir wines are beautiful with earthier, with an old-world style and amazing body, flavors, and tannins which I’m guessing will make this very great to age. 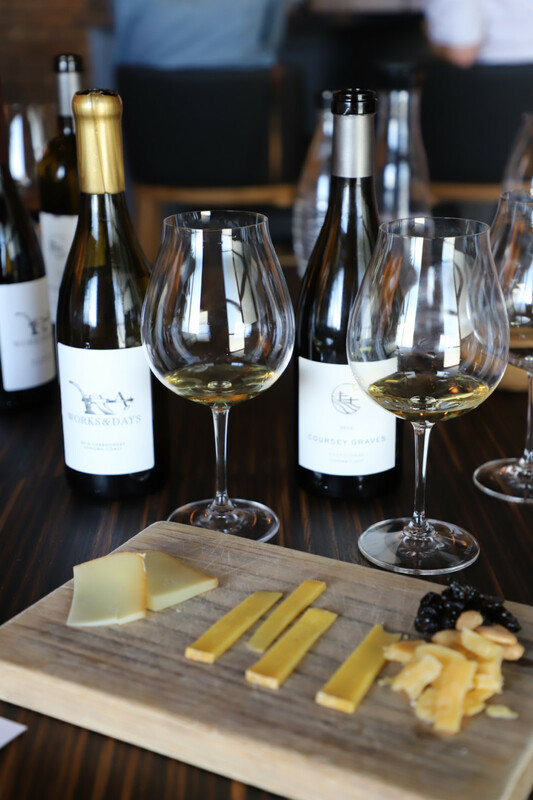 As if the Pinot Noirs are not lovely enough, the Chardonnays are mind-blowing with both rich flavors, yet subtle stone flavors showcasing the terroir of each vineyard. Learn more on their website here. 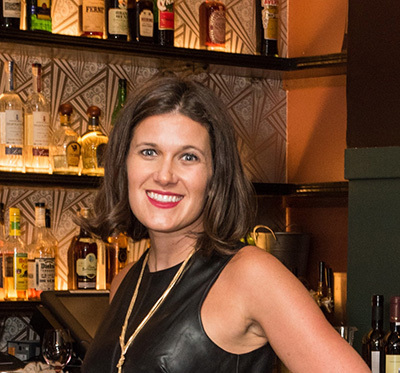 One of the newest tasting rooms in downtown Healdsburg is Coursey Graves. After visiting this chic downtown tasting room and tasting with winemaker Cabell Coursey I immediately fell in love. The Pinot Noir & Chardonnay varietals were spectacular and they also offer a Syrah and Cabernet Sauvignon. 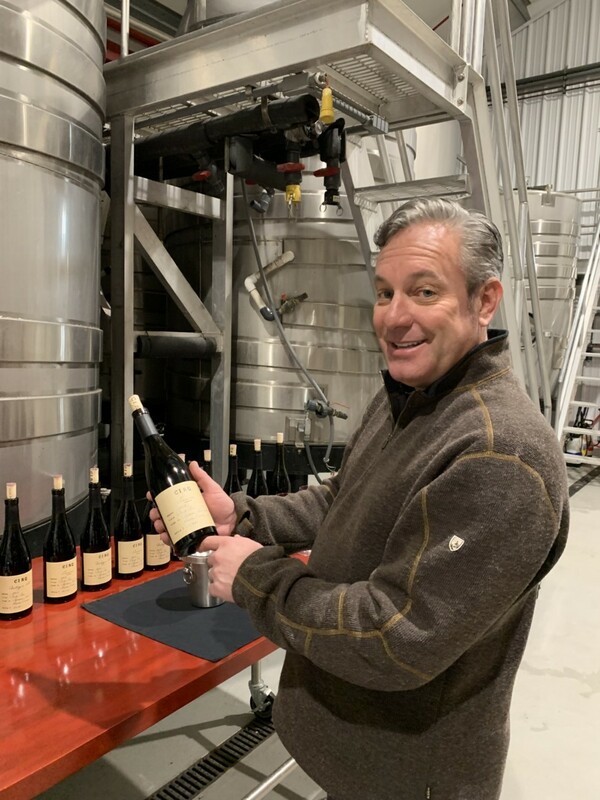 Winemaker Cabell has quite an extensive winemaking history at well-known wineries such as Kosta-Browne, Dumol, Flanagan Wines, as well as his own brand he currently makes wine for Works & Days in addition to Coursey Graves. If you visit be sure to tell them The JSF sent you! 114 Mill Street, Healdsburg. 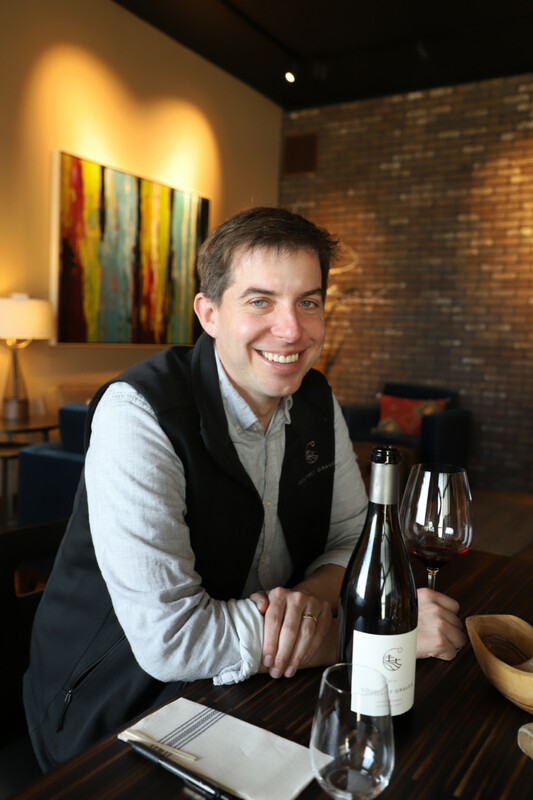 Winemaker Cabell Coursey during our tasting at Coursey Graves tasting room. 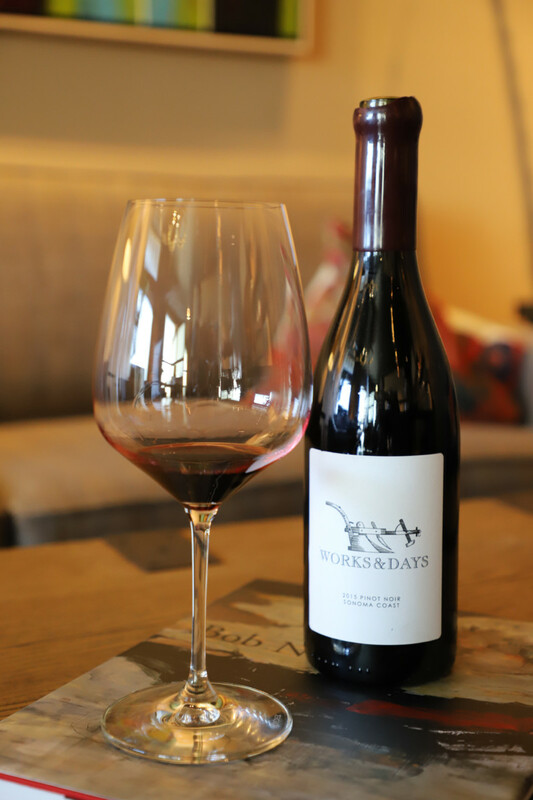 Another brand from winemaker Cabell Coursey is Works & Days. This Chardonnay is made in a totally different style than Coursey Graves, yet they’re both fabulous for Chardonnay lovers. 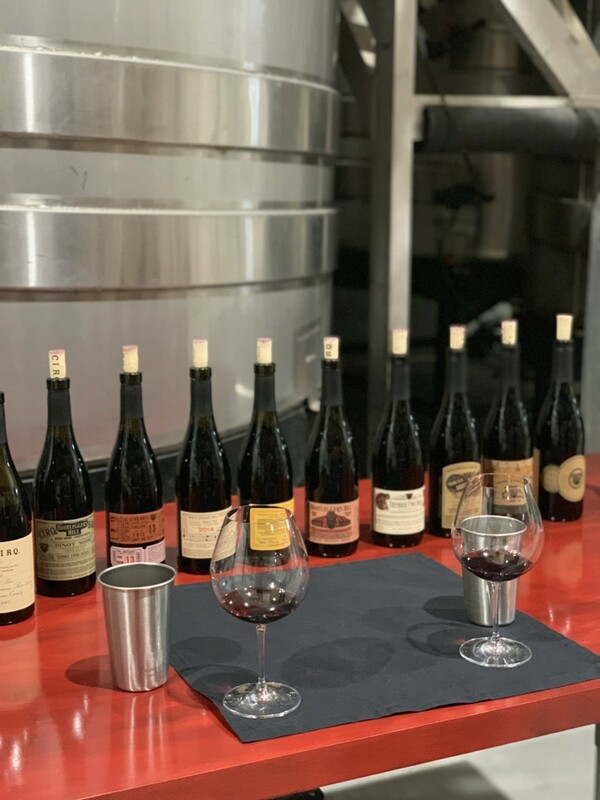 After a recent tasting with CIRQ Wines, led by Owner + Winemaker Michael Browne tasting their entire line up of vintages from CIRQ Wines it’s hard not to be obsessed with these Pinot Noir Wines. 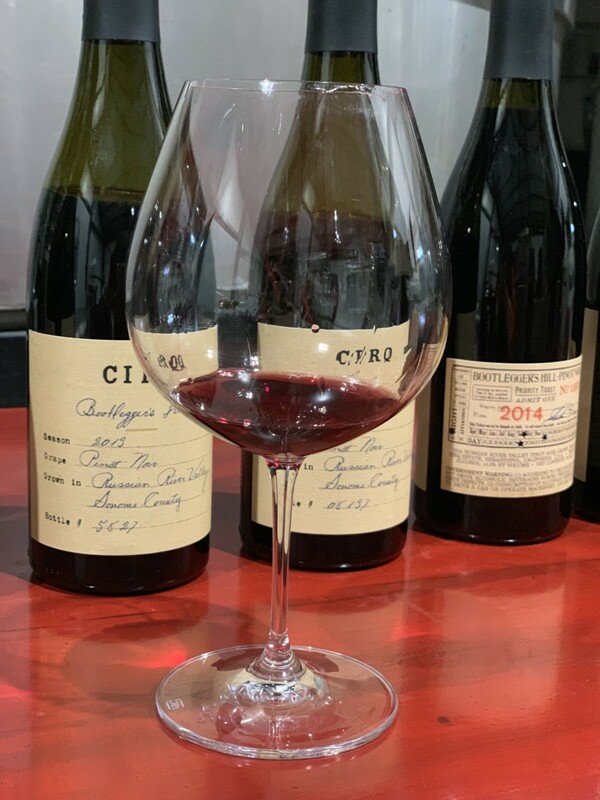 Stay tuned for a full blog post sharing all about the CIRQ Wine Tasting and what makes these wines so special both inside the bottle and out. Michael Browne hosting me on this incredible guided tasting. We literally tasted every single CIRQ Wines vintage and it was so so spectacular. Thanks, Michael for sharing these beautiful wines with me! 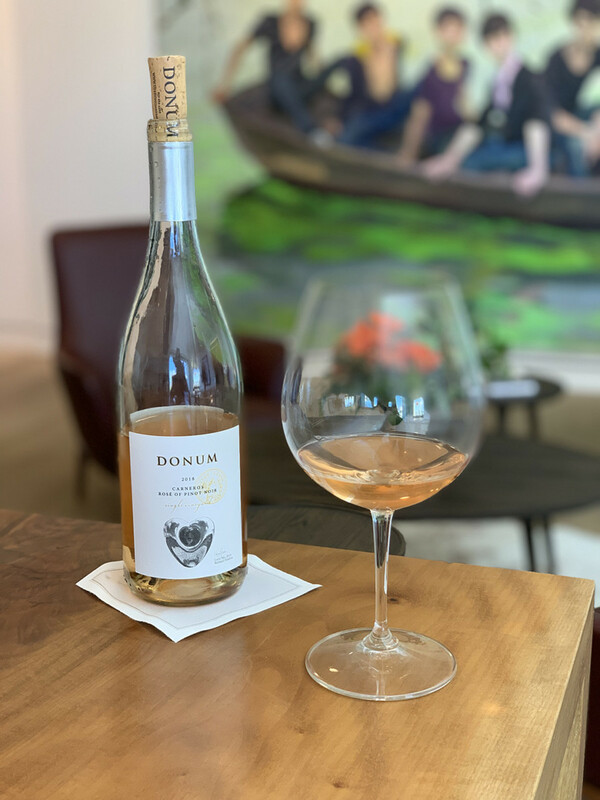 Another brand I can’t stop thinking about and enjoying wines from is Donum Estate. 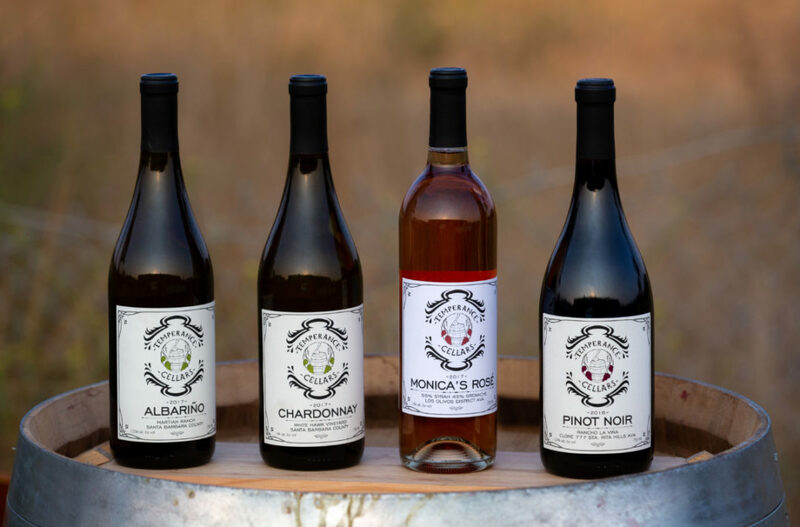 Donum Estate is a Carneros Winery making some of the most fabulous Pinot Noir Wines in the region. 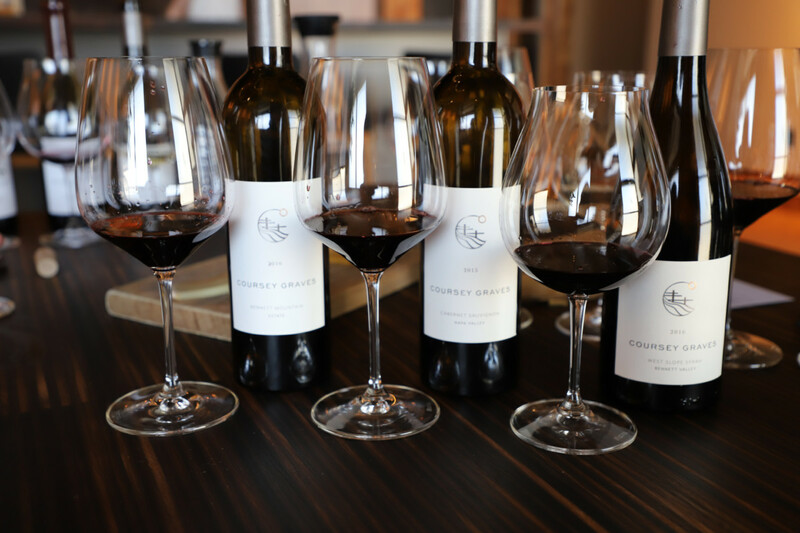 Read more about their winery and their stunning Carneros Estates on the blog here. Their Rose of Pinot Noir is absolutely lovely. I adore the soft pink color and the easy to drink, light and delicate flavors. 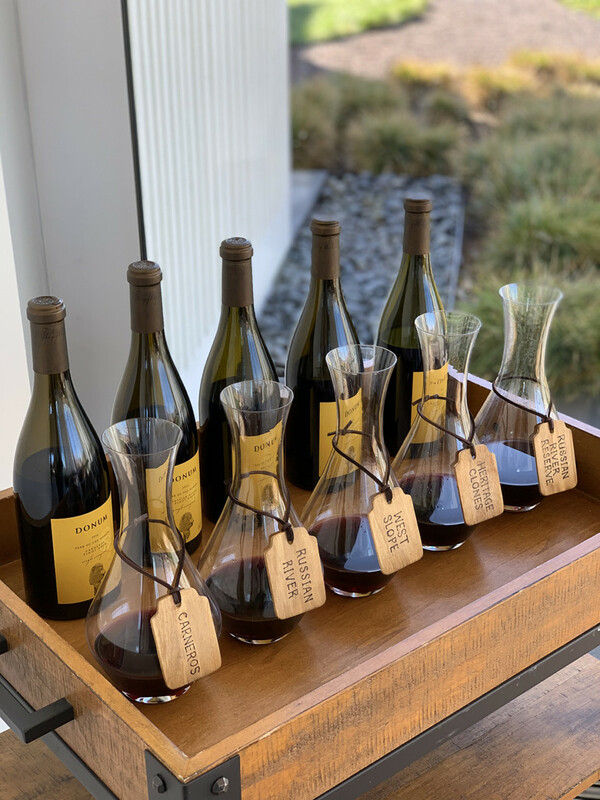 Talk about my dream tasting… And yes, I tasted all of these during my most recent visit to Donum Estate. 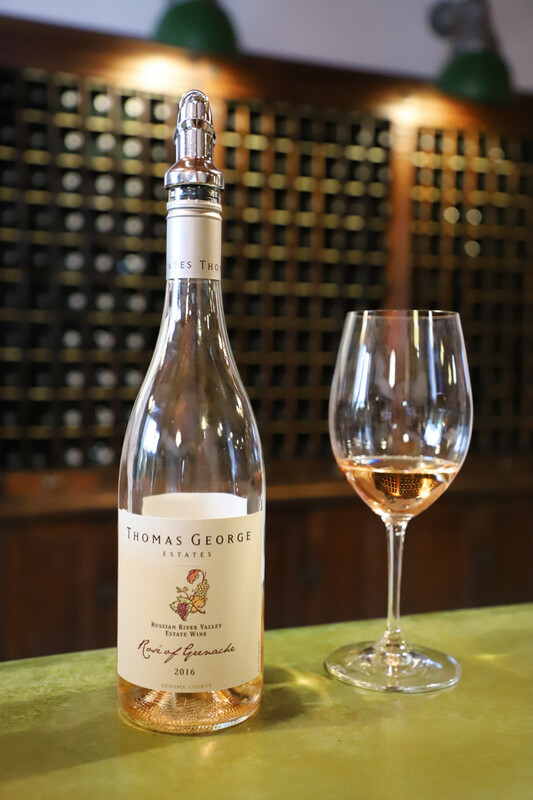 Another Winery I just discovered in Healdsburg is Thomas George Estates. No surprise this is another Winery producing stunning Pinot Noir and Chardonnay Wines and upon arriving I was welcomed by this lovely Sparkling Rose of Grenache. If you visit plan to do their cave tasting which is fabulous. 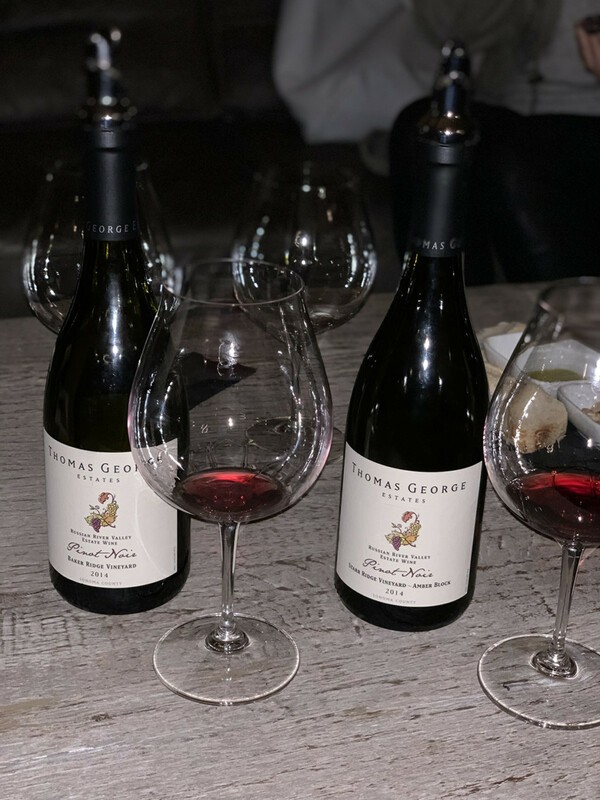 Read my full blog post about Thomas George Estates here. Thanks to the above brands for hosting me for a complimentary visit or tasting and/or sharing wine samples with to taste these wines.